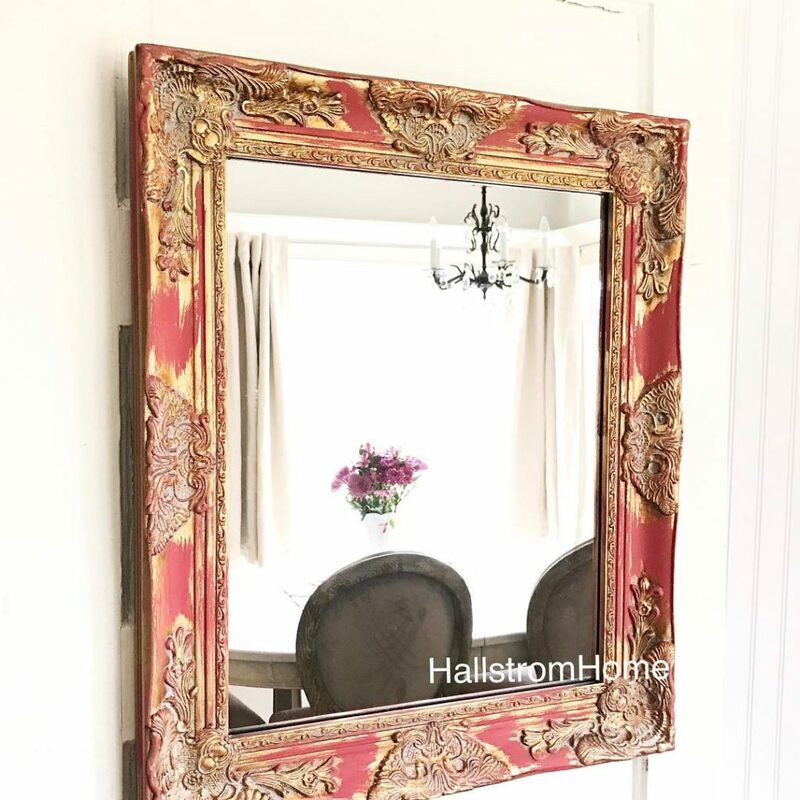 My Favorite Paint Brush for Chalk Paint- Hallstrom Home, this is a super easy post where I share my favorite paint brush for chalk paint. I often get asked paint questions as well as what paint brush I use. So here it is. I absolutely love this short handled paint brush that is easy to hold with super soft flexible bristles. Let me also show you some of my projects that I use this brush with. If you’re new to me, then I want to welcome you to my blog. 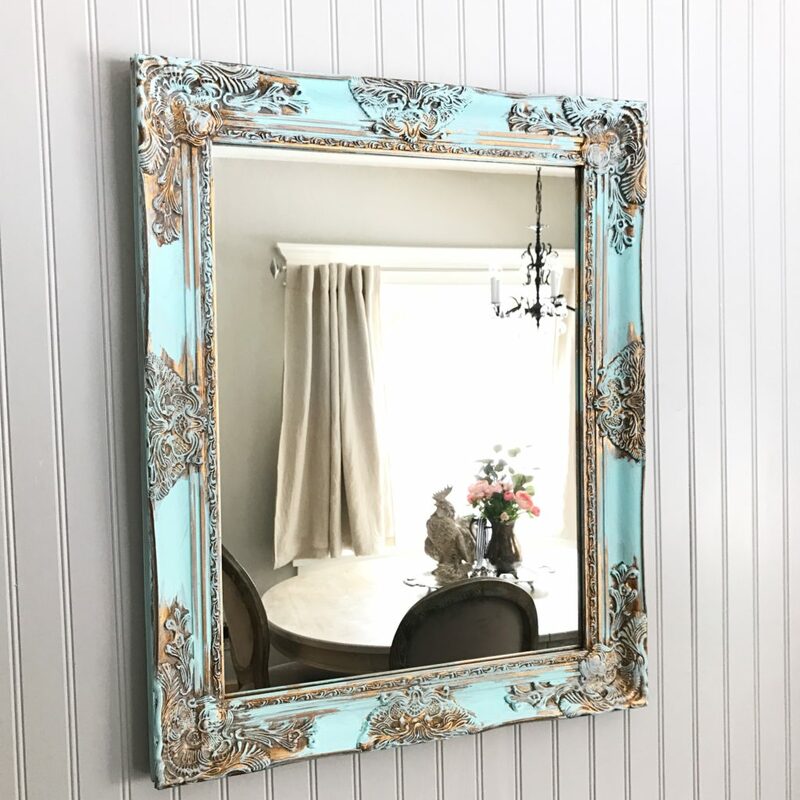 I also have an online shop where I sale my custom mirrors, home decor, and linens. This is the best brush for chalk painting furniture. You can see more of my painting projects, and learn how to do them also. Let me mention that I buy about five of My Favorite Paint Brush’s for Chalk Paint each time I order. I end up giving some away, as people ask me about what paint brush I like best. When chalk painting, you don’t need a brush specially made for chalk paint. This one I find works even better. The application is smoother and coats the piece nicely. It’s really hard for me to pick a favorite mirror so I included some of my latest creations. So far it looks like the white and gold mirror is my best seller. I tend to gravitate to this aqua blue and gold mirror. If you want to start up chalk painting, don’t hesitate to ask me questions. Being a beginner chalk painter can be intimidating. 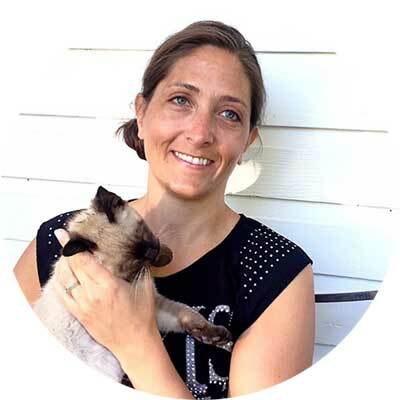 I have a great page that can get you all set up to start chalk painting on my painting resource page. Having an excellent paint brush that doesn’t cost much really helps. 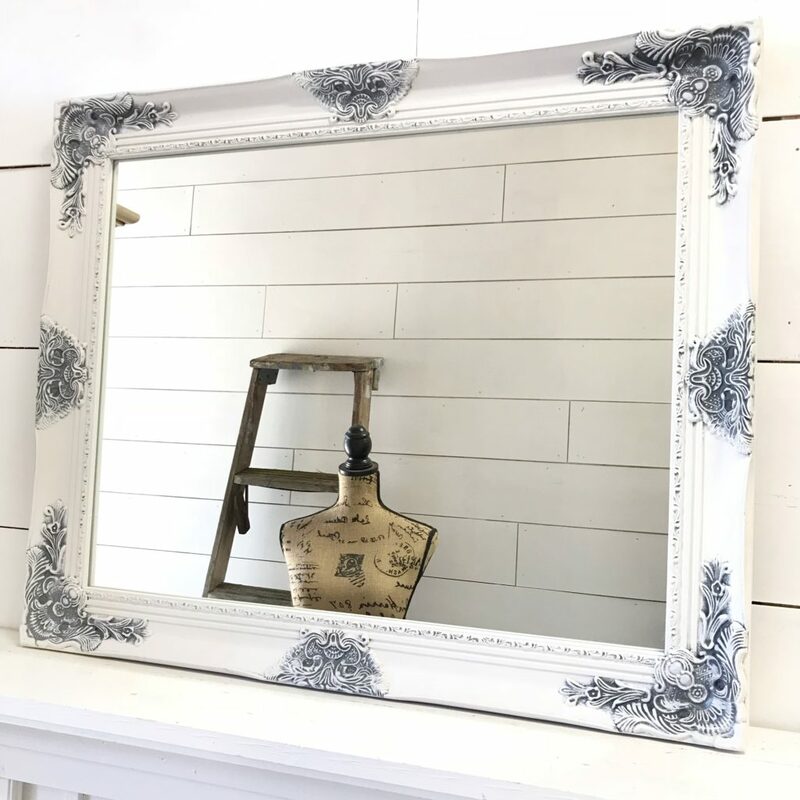 I look for one that is easy to wash out even with chalk paint. There are so many options and I have used many. I have spent $50+ on brushes and well as cheap dollar store brushes. I value a brush that is soft, flexible and doesn’t shed. I have used Magnolia Home Kilz paint, I have a review about it. Creating beautiful, one of a kind mirrors is a passion that I’ve had for years now. 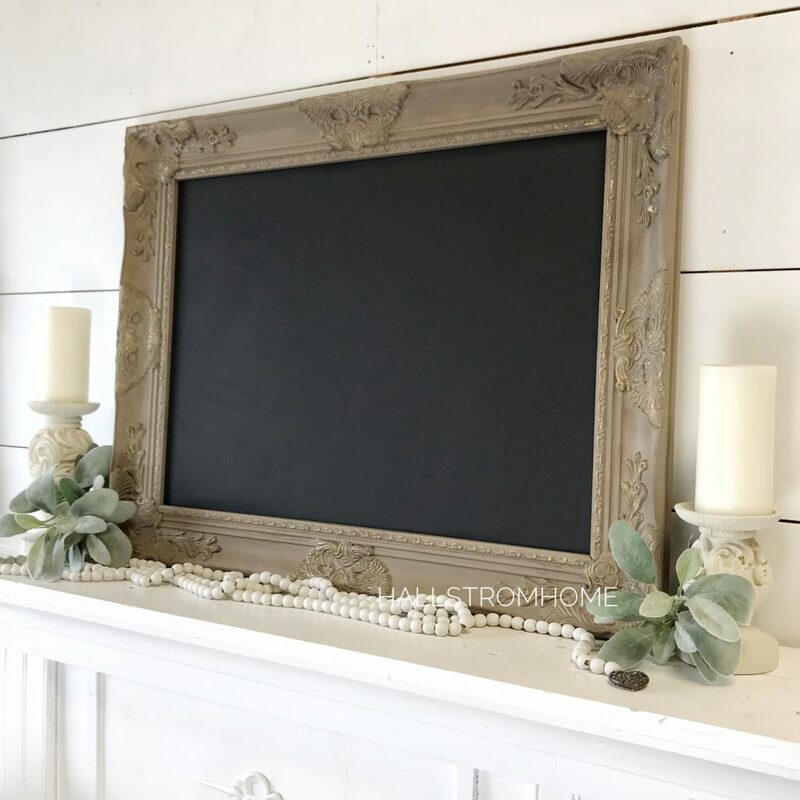 I also offer chalkboard and memo boards with this style of frame. We make custom wood shipping boxes for our mirrors so they will arrive safely. Take a look around and let me know if I can help make something beautiful just for you. I would love to see some of your chalk painting projects. 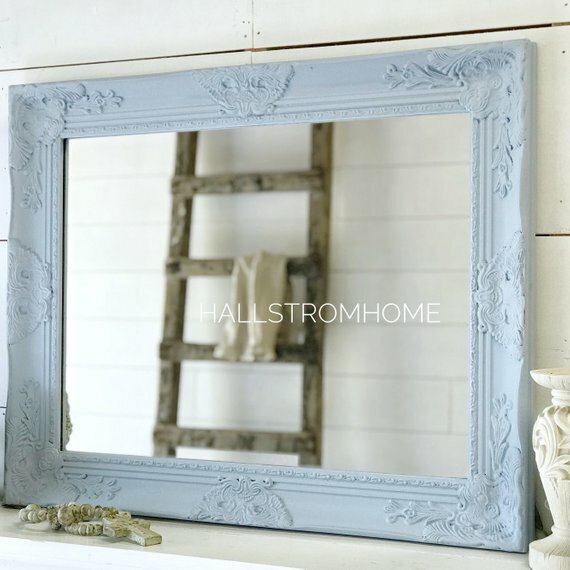 Be sure to tag me on Instagram @HallstromHome. Thanks for stopping by! Thanks for the info! Love that you sgare such good tips!! Hiya..I don’t think the link works..I still don’t know what or where your favourite paint brush is? lol love your instagram stories btw, with tom and susie! It now works! And it is an amazing brush! !